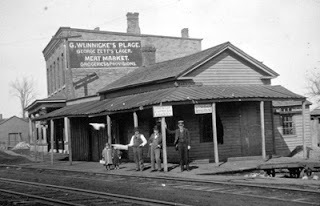 The original station in Liverpool was located a few hundred yards north of what is now Heid's, on the east side of the tracks. 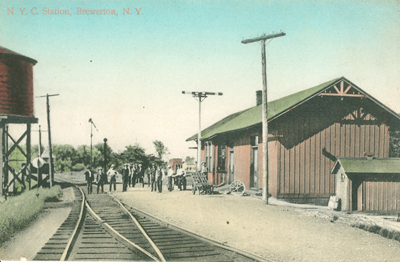 Old "Hojack" depot at Brewerton stood a short distance south of bridge over the Oneida river. 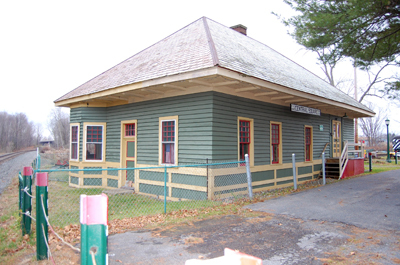 Central Square station is now a museum of the Central New York Chapter, National Railway Historical Society. 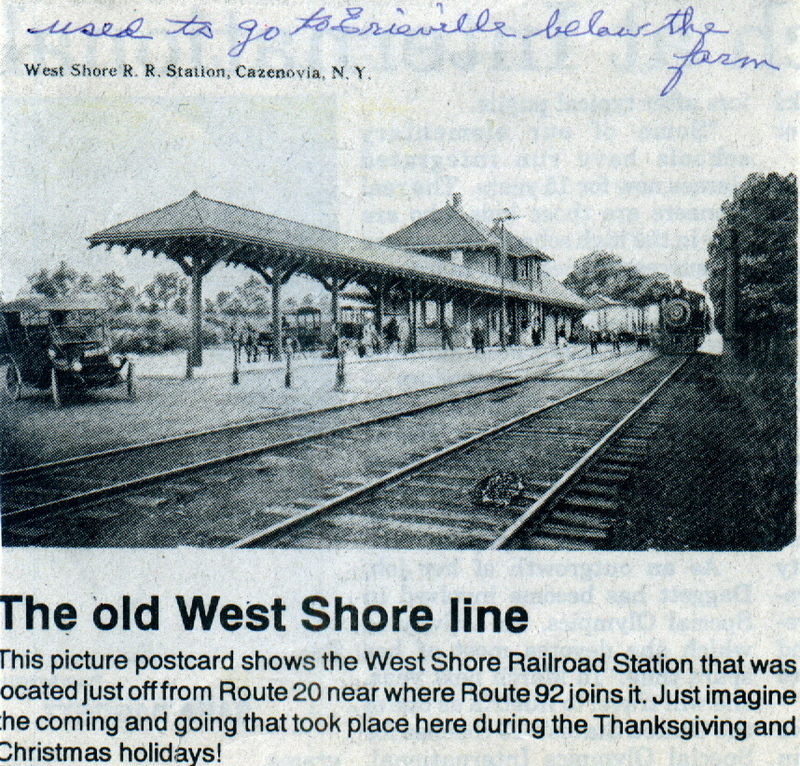 It once served both the New York Central and the New York, Ontario & Western. Where Did the Term "Hojack" Originate? 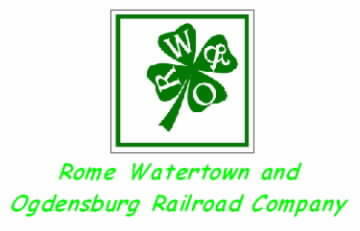 Although the rail lines north of Syracuse, both abandoned and existing, have passed ownership from Rome, Watertown & Ogdensburg to New York Central, to Penn Central, to Conrail and finally CSX, this railroad has from time immemorial, been known as the "Hojack." The origin of this title seems to be lost in the mists of antiquity. 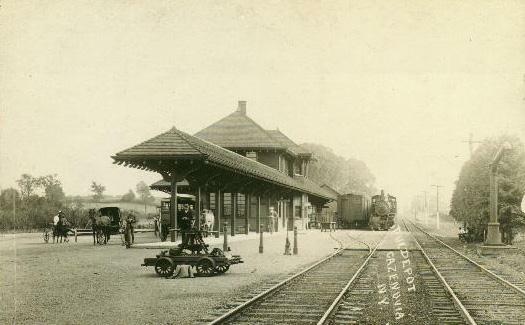 passengers wait for the next train to Manlius and Syracuse. The successful building of the Syracuse & Chenango Valley Railroad during the post-Civil War era followed a previously failed attempt to bring rail transportation to the upland regions of central New York between Syracuse and Earlville. "It beats all how an impression lasts with people." J.L. 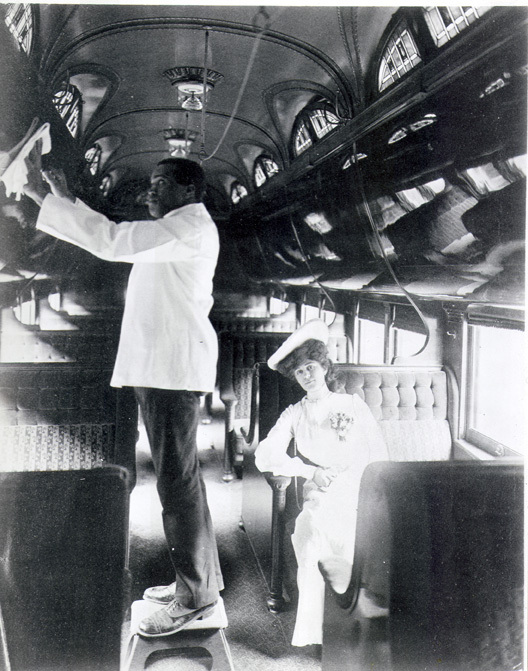 Smith, division passenger agent for the Lackawanna railroad, was talking to a visitor in his office in The Press Building. 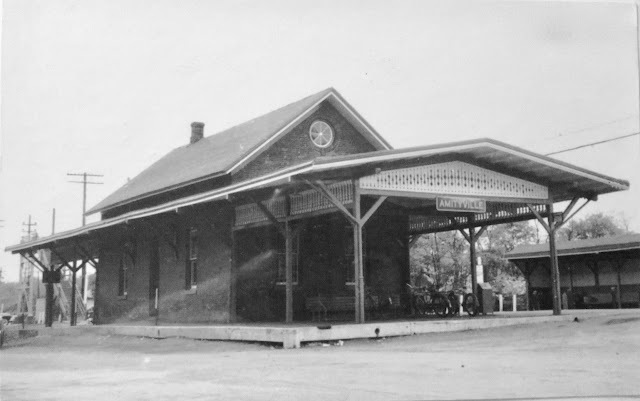 This was the first permanent railroad station in Syracuse, built for the Syracuse & Utica Railroad in 1839 and used for 30 years. View is looking east on Washington Street. The station was flush with South Salina Street. Note the turnout at the right to allow freight trains to bypass the station. Looking west at the intersection of East Washington, East Genesee and Montgomery Streets. At left is the Yates Hotel, now a parking lot for Key Bank. 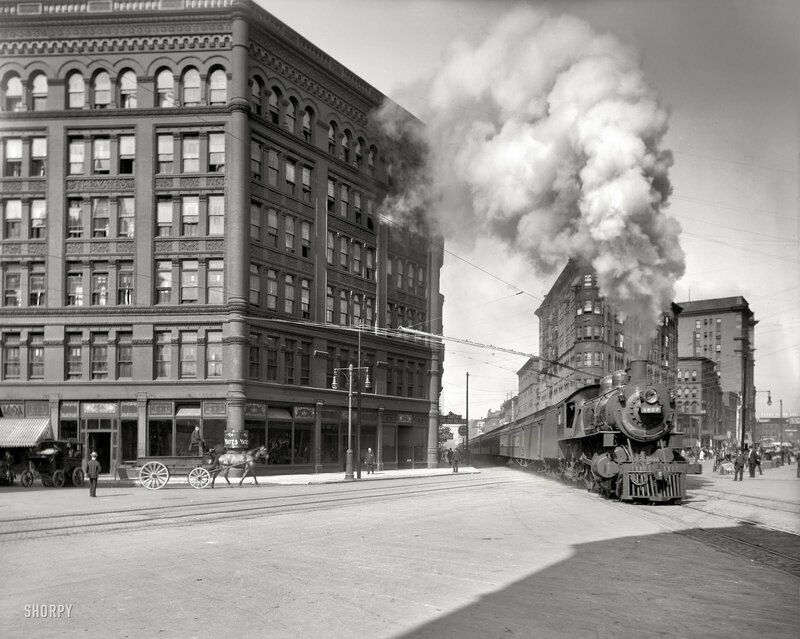 At right is the S.A.& K. Building, still standing, with Onondaga Bank in the background.